The Foreign Office has commissioned an independent report on global Christian persecution, to be led by the Bishop of Truro. 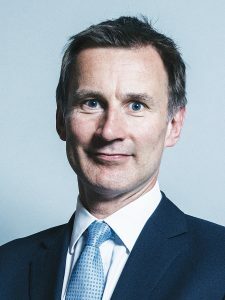 Christian Solidarity International (CSI) wrote to the Foreign Secretary Jeremy Hunt welcoming the report, which was announced on Christmas Day. In his letter, CSI’s Dr John Eibner noted a “pressing need” for such an initiative at the start of 2019, a year that threatens to see a rise in violence against Christian minorities. But while welcoming the review, British Pakistani Christian Association (BPCA) Chairman Wilson Chowdhry said he had been calling for one for years and also saw it as compensation for the Foreign Secretary’s failure to protect persecuted Christian Asia Bibi.